Belfast Fashion Week returns for yet another stylish year showcasing the hottest Autumn/Winter trends. Now a regular on the style schedule, West Coast Cooler FASHIONWEEK continued its ten year celebrations with the launch party on Thursday 21st August 2014. The city’s leading stylistas, photographers, bloggers, stylists and VIPs were all in attendance at the fabulous new venue on Bruce Street. With three nights of catwalk shows, plus Sushi Saturday, Style Sunday and Fashion Friday all to look forward to between 15th-19th October 2014, as well as a charity showing of Mean Girls the movie, event director Cathy Martin also announced a change of venue to a fantastic converted warehouse in Bruce Street in the heart of the city. Pictured at the launch of West Coast Cooler FASHIONWEEK are models: Rebekah Shirley, Ashleigh Coyle and Lauryn Greer in the latest looks from Ted Baker at Excel, Jigsaw, Marie Claire Millinery and Grainne Maher. 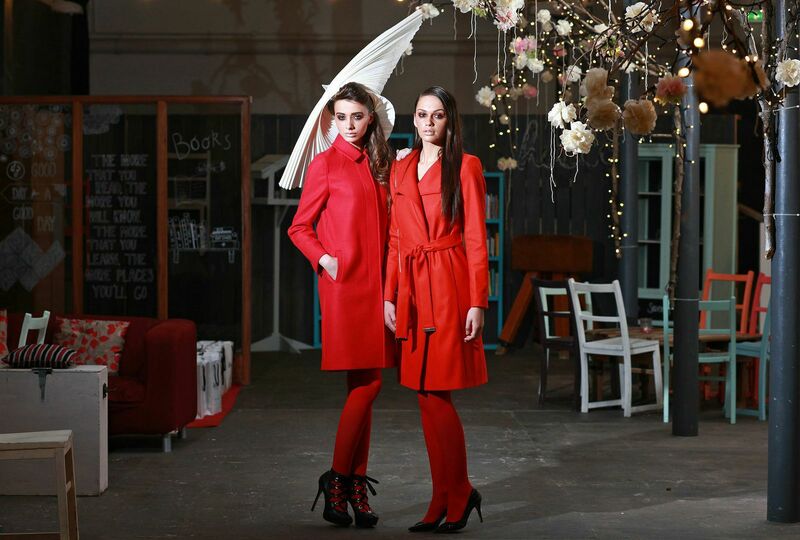 For further information on show schedules, tickets, links to participant retailers and designers as well as the season’s hottest trends, log on to www.belfastfashionweek.com. Hope to see you lovelies at FashionWeek! Make sure you get your tickets before they sell out.